The company's previous funding as a Series D in 2017 that ended up at just over $40 million, thanks to a $10 million extension from B Capital — the investment firm set up by Facebook co-founder Eduardo Saverin that's backed by BCG. This time around, B Capital has provided the funding alongside other returning investors that include Falcon Edge, Epiq Capital and DSG Growth Partners. The deal takes the startup to $95 million raised to date. We wrote extensively about the company's strategy back at the time of that 2017 round, and essentially the thesis is that POS devices remain essential despite the proliferation of new fintech like mobile wallets. With that in mind, Mswipe makes its terminals cheaper than the competition while it can also work on more limited internet connections, even 2G, to help merchants and retailers in more remote areas or those on a modest budget. More critically, Mswipe CEO and founder Manish Patel believes the country is "ripe for disruption" because it has so few terminals. With less than three million terminals in operation across the whole of India, even Turkey, with a significantly smaller population of 80 million, has more. Beyond offering hardware that simply works and ties into newer types of payment, Mswipe has a vision of additional services for merchants. It is developing a new 'smart' POS — Wise POS Plus — that is developed on Android which allows applications like billing, inventory management and logistics to be pulled in, too. Indeed, the second piece to that is its own dedicated app store — MoneyStore — which is in development now and is aimed at housing a suite of productivity apps and related services for smaller retailers. 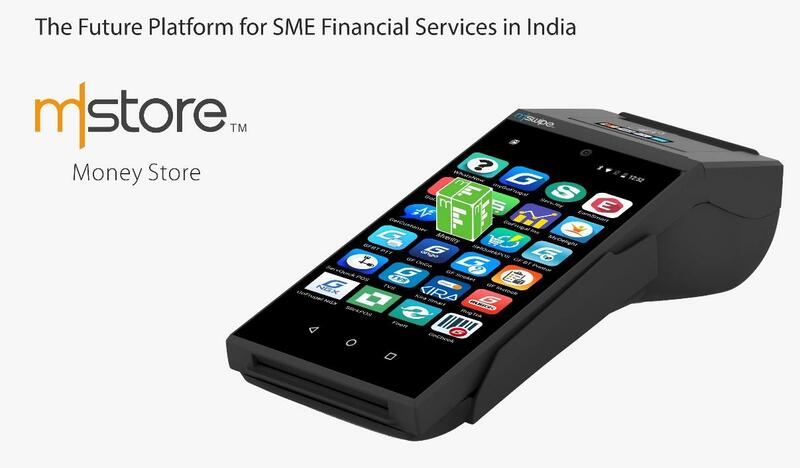 "WisePOS Plus… powered by a suite of productivity apps, can enable a merchant to save thousands of rupees and hundreds of hours that go into running computer-based billing and inventory solutions with integrated payments. At the same time, we are also creating a huge opportunity for app developers with MoneyStore," Patel said in a prepated statement. The second major prong that he believes can bring this growth is the adoption of UPI, the government-backed real-time payments system in India. Mswipe said it is "all set to enable" the system which will allow QR payments at terminals. Mswipe is also working with lending startup Cashe on a co-branded card for consumers following a deal announced in December.